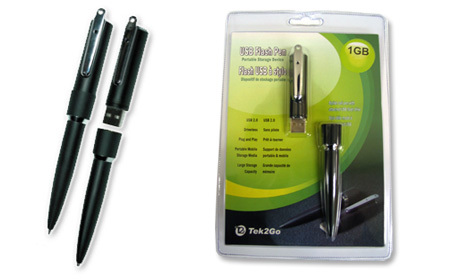 Stylish ball pen with attached USB flash drive. Fast access rate: 1.1 2.0 Read 950Kbytes/sec. 8Mbytes/sec. Write 920Kbytes/sec. 7Mbytes/sec.